Home builders need to keep an eye on both profit margins and sales velocity. Traditionally, home builders have focused on profit margins while ignoring sales velocity. Instead, builders can increase their overall economic returns by considering margins and velocity together, says Fletcher L. Groves III, vice president and senior consultant at SAI Consulting. Increasing profit margins on new home construction is a worthy goal, but even when margins are flat, a builder can make more money by increasing sales velocity. Builders that can develop, build and sell communities faster will see greater returns than those solely focused on profit margins. They will also see accelerated returns, allowing them to move on to their next community and start the cycle again. Groves notes that a builder with an 18 percent gross margin and an 80-day cycle time would outperform a builder with a 24 percent gross margin and a 180-day cycle time by a ratio of two to one. While profit margin is important, maximizing the speed at which homes are sold as well leads to even greater returns. To do this, employing a developer/builder business model is effective at decreasing production time. With a plot of land set for development, an entire community can be pre-planned. Established home builders and homebuilding franchisors have product designs and business processes that are time-tested and well-documented, making homes easier and faster to build. Epcon floorplans, for example, can be built in as little as 100 days—twice as fast as the industry average of more than six months from start to completion. Once the building process is accelerated, marketing campaigns and sales events can help developers sell homes quickly. 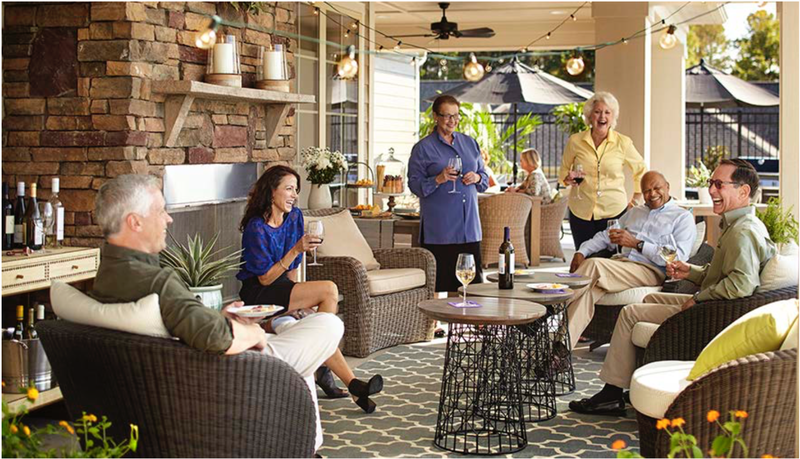 With an emphasis on lifestyle, communities with great appeal to 55+ buyers sell by allowing buyers to visualize socializing with neighbors, entertainment within the community and proximity to restaurants and shopping. Sales materials and events should highlight the amenities that create the lifestyle buyers want. Communities driven by a lifestyle focus where residents have plenty of opportunities for socialization with neighbors appeal to the 55+ demographic. The right balance of profit margin and sales velocity is important for any type of construction, but builders with an eye towards building 55+ communities have a unique opportunity to benefit from higher sales velocity. The 55+ demographic will lead the new home building category for the first time in U.S. history, according to Metrostudy. With 52 percent of all new home purchases coming from this age group, there is plenty of room to increase sales velocity in communities offering great appeal to 55+ home buyers, leading to greater profit potential for the builder. Profit margins will always be important in new home construction, but increasing sales velocity adds another opportunity for growth. By focusing on both profit margins and sales velocity, builders can increase their revenue without sacrificing quality. For more information about balancing home builder profit margins and sales velocity with the Epcon homebuilding and community development franchise opportunity, download our free franchise report. You can also learn more by visiting our research pages. The post The Sales Velocity vs. Profitability Debate in New Home Construction appeared first on Epcon Communities Franchising, Inc.